After Europe’s horsemeat scandal, Brazil, the largest exporter of meat products in the world, is now going through its own food fraud crisis. This time though, it seems federal authorities have been complicit. A few days ago, federal authorities in Brazil announced they would be investigating several companies including meat packing giants JBS and BRF S.A. These companies are accused of bribing licensed inspectors to approve rotten meat products for international sale and export. Given that not only companies but also government are allegedly involved, this has the potential to become one of the worse food fraud scandals in modern times. The investigation, dubbed “Operation Weak Flesh,” in fact began over two years ago, and is still not finished. More than 40 companies and several bureaucrats are involved. What a mess. This is a textbook case of economically-motivated food adulteration. Various animal parts were used as substitutes for more expensive ingredients or products. Any suspicious smells were allegedly camouflaged through the use of acid, a food safety nightmare. It appears these products were delivered to schools, hospitals, and other institutions. Even Wal-Mart is a buyer and has requested an explanation about the risks involved. As we often see in food fraud cases, every company involved, including JBS and BRF S.A., is denying all allegations. Brazilian meat product exports account for well over $14 billion and are distributed to many parts of the world, including Asia and Europe. With this food fraud scandal, that figure could decrease significantly. In fact, shares for both JBS and BRF S.A. have decreased in value by 10% over the past few days. Given the current political and economic climate in Brazil, this could not have happened at a worse time. The economy is going through one of the deepest depressions in its history, while dealing with the aftermath of the highly-publicized Petrobras scandal, also involving both public and private sectors. This new scandal will hit one of Brazil’s largest economic sectors very hard. The scandal will not only affect Brazil, but strikes yet another blow to the global livestock industry. It will give more ammunition to those opposing the industrialization of agriculture and the perceived undesirable role of agribusinesses. The sustainable and ethical nature of massive livestock production has been called into question by many for several years now. Increasingly, consumers in the industrialized world are reducing their intake of animal protein, particularly beef. Nonetheless, firms in the agrifood sector do exist to make our food systems more efficient, and food more affordable. Society in general has benefited from the role of corporations in the sector, whether we realize or not. Ethics must play a key part in safeguarding the moral contract the industry has with citizens. Even if most companies operate by upholding shared values with consumers, there are those who spoil it for everyone else, which is shameful. Policies are there to protect the public, but ill-designed regulations can also often lead to market failures, compounding the fall-out. In Brazil, licensed companies have a direct influence over who can inspect their facilities. Inspectors are only human, and can therefore be morally compromised. Encouraging whistle-blowing as a solution is both difficult and a recipe for a disaster. Had a proper regulatory framework been in place, this latest Brazilian scandal could, in all probability, have been prevented. Ironically, JBS, one of the major companies implicated in the investigation, operates the same plant involved in the infamous XL Foods recall in 2012, in Brooks, Alberta. At the time, Canadian inspectors were not diligent enough and were not asking the company to make proper changes, where they had been found in breach of federal regulations. Countless deferral cases for maintenance were given. Sound familiar? We did learn from the XL Foods incident and made changes to how we manage our inspection force. Interestingly though, JBS bought the plant while the recall investigation was ongoing. This speaks to the culture of the industry, driven by unmeasured egotism and pride. This is a pattern we can see repeated worldwide, and right now it’s Brazil’s turn to reap the consequences. 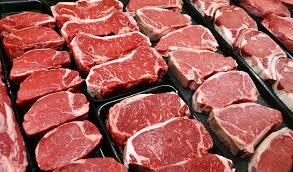 It took decades for Brazil to convince the world its meat products were worthy of consideration. Actor Robert de Niro even became a spokesperson at one point for the industry. “Operation Weak Flesh,” however, could destroy this reputation completely. This scandal has impelled a number of countries to call for sanctions of Brazilian meat products, with some already being implemented. Canada, as one of Brazil’s main competitors in the livestock industry will likely gain from all of this. Canadian ranchers are very aware that they could reap benefits from Brazil’s controversy. But let’s hope arrogance won’t make our sector complacent again, as we witnessed with mad cow disease back in 2003. If nothing else, we must to learn from what has happened in Brazil. Our own livestock and meat scandals in Canada were a cakewalk compared to what is going on in Brazil right now. But with food fraud, given how complicated these cases can be, we can never be too careful. Sylvain Charlebois, Dean of the Faculty of Management, Professor in Food Distribution and Policy, Dalhousie University, author of Global Food Safety, Risk Intelligence and Benchmarking, published by Wiley-Blackwell (2017).